For generations Women’s Weekly have been the legends behind the comforting sweet aromas that have wafted through our homes. 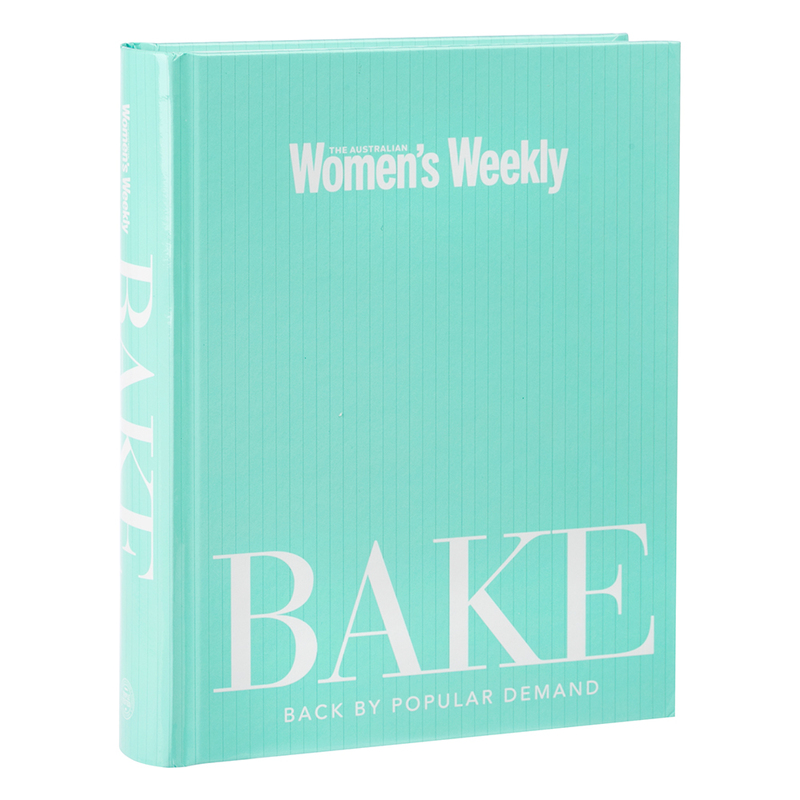 And now, back by popular demand, the Australian Women’s Weekly have put together a collection of their favorite baking recipes. From the basics to the adventurous, and everything in between, Bake has it all, master the classic scone recipe, or perhaps Pear Butterfly Cakes or Pistachio and Lime Friands. Bake is a kitchen staple,overflowing with triple tested recipes that if followed to the letter, will have you crowned master baker by both family and friends. Clear and concise instructions, meticulous measurements and mouthwatering photography, Bake has everything needed to inspire and invite you into the satisfying world of baking. Features an Introduction to the history of Baking. Includes chapters on equipment, baking techniques and more. Features glossary, conversion charts and an index.